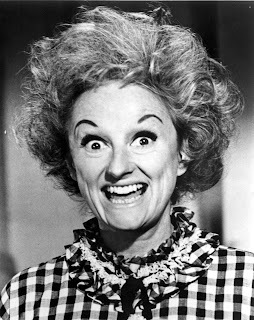 The first woman to become a star of standup comedy, Phyllis Diller was born Phyllis Ada Driver in Lima, Ohio, on July 17, 1917. Hoping to become a professional musician, she attended the Sherwood Music Conservatory and Bluffton College. While at Bluffton, she met and married Sherwood Diller. Phyllis dropped out of school and had the first of their five children in 1940. Sherwood proved to be terrible provider. He moved the family to northern California, in search of work, but was unable to keep any job for long. The Dillers relied on a small inheritance from Phyllis’s parents to make ends meet. When the money ran out, she had no choice but to find a job herself. She began working in advertising and eventually became a publicist for a San Francisco radio station. Still hoping for a career in show business, she began using her free time to develop a comedy act. With encouragement from her husband, Diller began performing for social clubs and church groups and hired a drama coach to help hone her timing. In 1955, after more than a year of working on her act, Diller had her first professional job, a twoweek engagement at the San Francisco club the Purple Onion. At the time, the field of stand-up comedy was completely dominated by men. Initially, her audiences were unsure what to make of Diller. As she later said, “Being a woman, right away you walk out to almost total rejection.” Diller found, however, that as long as she could make them laugh, audiences would slowly warm to her. Her two-week stint was so successful that she played the Purple Onion for 87 more. Onstage, Diller wore outrageously gaudy dresses, false eyelashes, and wild wigs. Her other trademarks were her foot-long cigarette holder and her raucous laugh, which she invented to fill uncomfortable silences when jokes failed to get a laugh. She was given the nickname “Killer Diller” because of her rapid-fire delivery. Diller often told as many as 12 jokes a minute. The jokes themselves focused on the things she knew besthousekeeping and family. She took a special satisfaction in ridiculing her fictitious one-toothed husband, whom she called “Fang.” Her husband jokes were to her a sweet revenge for the wife jokes that then made up much stand-up repertoire. After several years of touring clubs with her act, Diller had her first national exposure as a guest of The Tonight Show in 1959. She immediately became a fixture of television variety and comedy shows, which led to bigger audiences at her club dates. By the mid-1960s, Diller was one of the most famous and successful comics in the United States. At the height of her success, she divorced Sherwood Diller and married singer Warde Donovan. They, too, were later divorced. During this period, Diller also appeared in a string of weak comedy films, including Boy, Did I Get a Wrong Number (1966) and Did You Hear the One About the Traveling Saleslady (1968). She had another side career as an author of advice manual parodies. 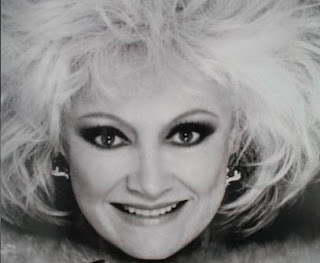 Among her popular books were Phyllis Diller’s Housekeeping Hints (1966) and Phyllis Diller’s Marriage Manual (1967). 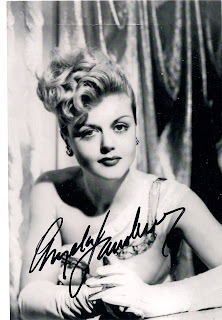 She had less success as the star of two failed television series, The Pruitts of Southhampton (1966) and The Beautiful Phyllis Diller Show (1968). 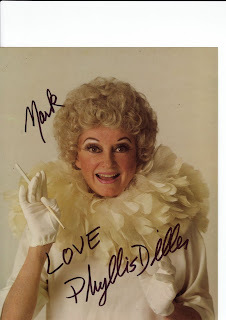 Diller continued to perform comedy on stage and on television, though in the 1970s she also started to play piano concerts with symphony orchestras. More recently, she has renewed her film career with small movie roles, most notably providing the voice of Queen in the animated feature A Bug’s Life (1998). Collier, Denise, and Kathleen Beckett. Spare Ribs: Women in the Humor Biz. New York: St. Martin’s Press, 1980. Horowitz, Susan. Queens of Comedy. Newark, N.J.: Gordon & Breach, 1997. 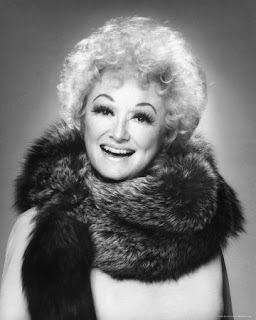 Biography: Phyllis Diller. A&E Home Video, VHS, 2000. Boy, Did I Get a Wrong Number (1966). MGM/UA, VHS, 1993.